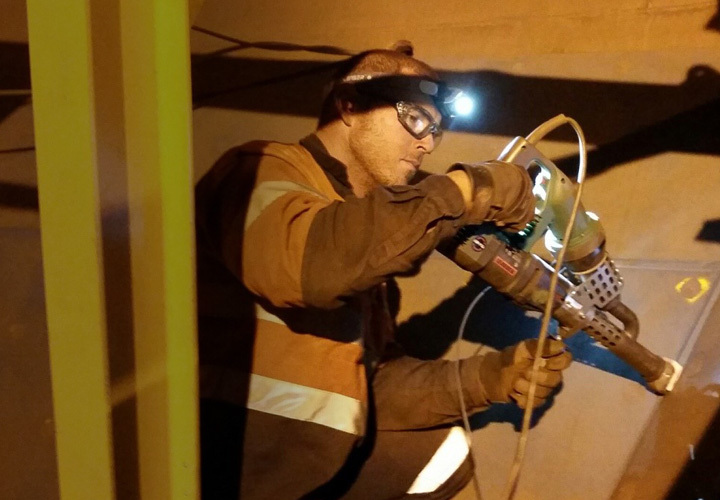 Whether it's underground mining, crushing, washing, coal preparation, electric shovels or draglines, Dotmar Plastics has the technical solution to meet your requirements. Engineering Plastic and Polyurethane when chosen correctly offer superior performance over tradition engineering materials such as brass, bronze and stainless steel. An engineering plastic bush offers unlubricated performance with the benefits of a reduction in maintenance costs downtime. Products such as PETP (Sustadur PET) and self-lubricating nylons such as Nylon (Sustamid 6 GOL) and Nylon (Sustamid 6GM) are excellent substitutes for greased bearings in harsh environments. 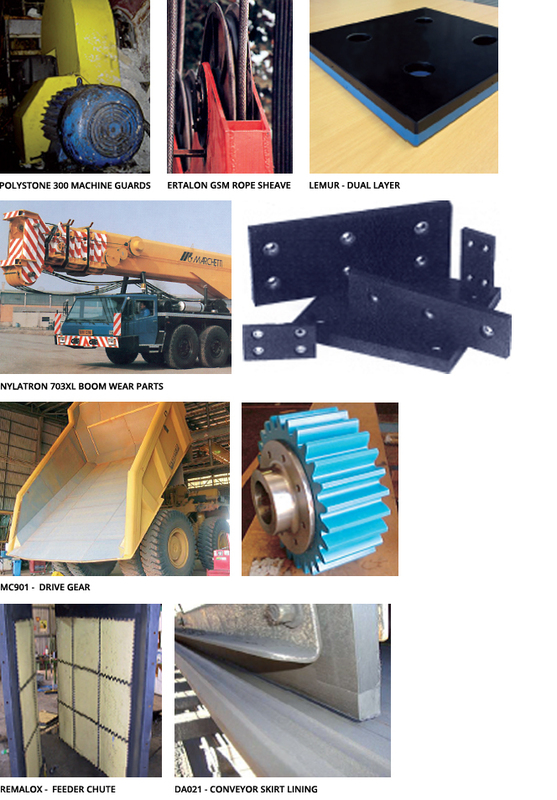 Products offered to the Mining Industry are the UHMWPE (MATROX) family, Polystone Ultra UHMWPE, Polystone 7000SR UHMWPE plastic flow promotion liners, and Polyurethane parts. 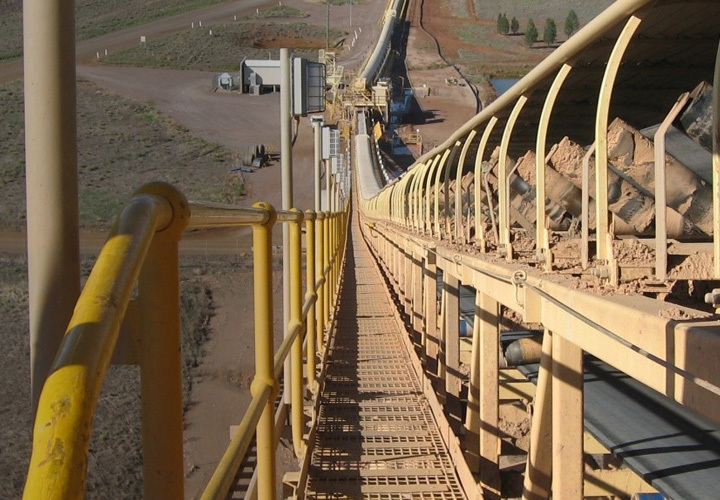 Matrox has been specifically developed for the bulk material handling and mining industry to reduce typical flow problems of bulk solids in bins, hoppers, chutes, truck beds and other applications. However, every application makes its own special demands on the lining material. The Matrox range combines the best surface friction qualities with abrasion resistance not only to promote bulk material flow but also to withstand the abrasion of flowing bulk materials in rugged applications under different environmental conditions. The Matrox grades are based on a specific formulation of Ultra-High-Molecular Weight Polyethylene that has been specially developed for use as a lining-material either in new construction or as a retrofit. Dotmar has a team of experienced and highly qualified installers that can either line your particular application at one of our nationwide branches or work on site with all the appropriate tickets and inductions. Dotmar has extensive experience with project management so we can basically take care of everything for you from start to finish. Contact your local Dotmar branch for more information on 0800 650 750. The products of the Matrox range are used in a wide variety of industries that handle bulk materials from the mining level up to and including the final processing or use of the product. MATROX COILS - Available on request. Lining is a matter of experience. The choice of lining material depends on a number of factors such as the type of bulk solid, the geometry of the object being lined as well as other factors affecting the flow of material and amount of wear. Dotmar has a wealth of experience in lining technology going back over 40 years. This experience is at your service. We can advise you on the right type of lining material and fixing technology for your application. Our priorities are the durability and efficiency of the lining. For applications involving heavy impact stresses, we can also supply a combination of the above Matrox types and polyurethane. The material adheres to large areas of the unlined steel surface. The area lined with Matrox is almost completely free. 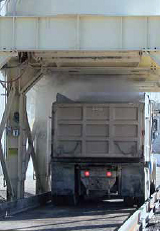 Z-sheets attached to the truck bed prevent material from drifting under the lining sheet. Mining vehicle. Matrox X-lined truck bed for ore transport in Australia. Installation of Matrox sheets in a funnel-shaped dump truck using the stud-welding process. One of the main challenges in lining hoppers and silos is the high amount of wear caused by the impact of material falling from a height. The funnel-shaped outlet causes problems with regard to core and mass flow. Special safety regulations or, for example, the handling of foodstuffs, create additional demands. With large-grained bulk goods, which may cause serious localised wear, lining the exposed parts with Matrox will considerably prolong the life span of the hopper. 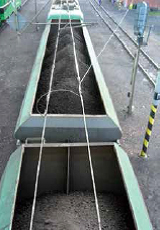 The Matrox lining of the bin ensures even and undisrupted loading of the bulk material. The distribution of fixing points can be clearly seen. Operating reliability and undisrupted infeed of raw material are essential in the power industry. Universal in application: Because of their various fields of use, the lining of goods wagons must be suitable for all types of material.